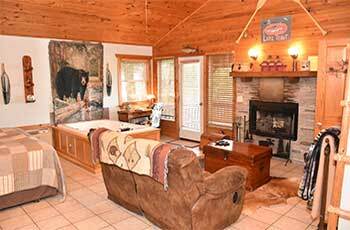 A cabin for rent can be as amazing as any 5-star hotel, especially when you look at cabins in Riverview, Northwest Arkansas. 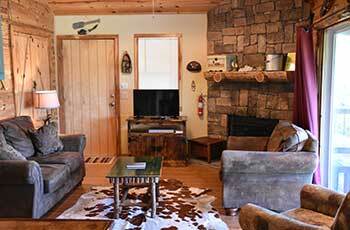 Can-U-Canoe offers riverview cabins in the Ozark Mountains, where the view alone makes an impression that normal accommodations are hard-pressed to match. 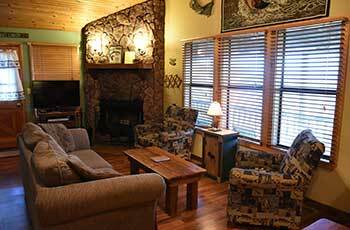 Our Eureka Springs cabin rentals are much more than a just a cabin. They’re luxury suites that happen to be made out of wood. The rustic décor and amazing amenities are more than a match for the surrounding view. 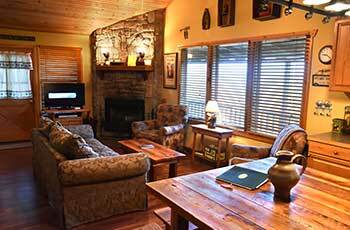 For people who want Eureka Springs lodging that enhances their experience, we’re the place to go. 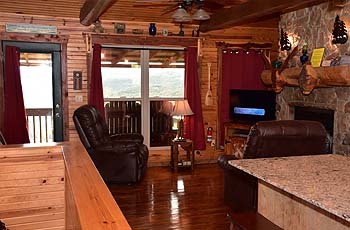 Our Eureka Springs cabins provide guests with fabulous views and full-featured amenities to give you the Ozark mountain vacation of a lifetime. Amenities vary but the creature comforts of home are standard across all cabins. You can expect luxuries like hot tubs, private decks, wood bruning fireplaces, and Jacuzzi tubs. All of our beds offer luxurious down mattress toppers. 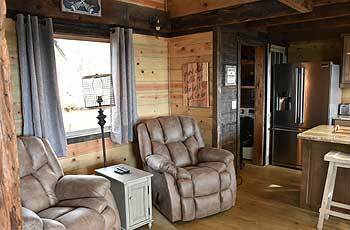 There are varying entertainment options such as satellite TV, DVD players, and even pool tables in some cabins. Our hot tubs are emptied and sanitized between each guest for your bathing pleasure. 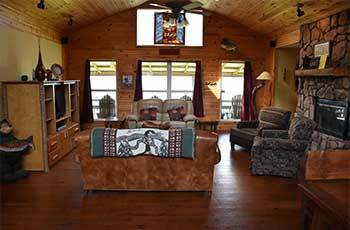 These are our smaller cabins designed to accommodate just two people. Full of features, these small cabins are perfect for a secluded honeymoon or an intimate, romantic getaway. The Hawg Trap's unique construction and materials create a dream-like atmosphere. A stay in this luxury cabin will give new definition to “a getaway”. 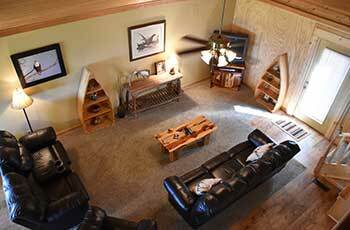 The “Minnow Bucket” is a wonderfully appointed Eureka Springs Cabin for two with an awesome view of the White River and Inspiration Valley. 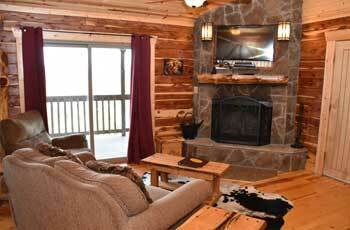 Able to comfortably accommodate up to six people, our family cabins were built with families and small groups in mind. They are ideal for family vacations or small groups looking for a one-of-a-kind vacation experience. Enjoy a stunning river and mountain view from one of the private deck on each level. This cabin is perfect for a family vacation. 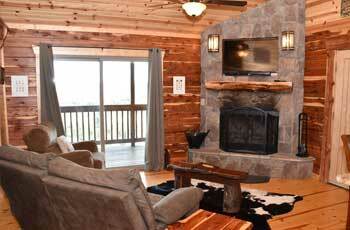 A two story-cabin featuring a deck on each floor with some great amenities. Both deck offer an unobstructed view of the river and valley below. The Paddler offers a cozy atmosphere with a custom stone firelpace. Perfect for a family vacation, romantic getaway, or honeymoon. 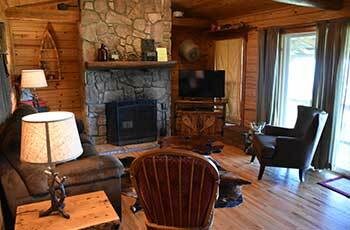 Three-bedroom cabin with 2 baths, master bedroom upstairs with a king sized bed and a full bath. A large deck off the back has a six person hot tub that's complimented by a beautiful view of the river below. The large “family room” provides entertainment with a wet bar, foosball, and pool table topped with an amazing view of the valley from the second floor.